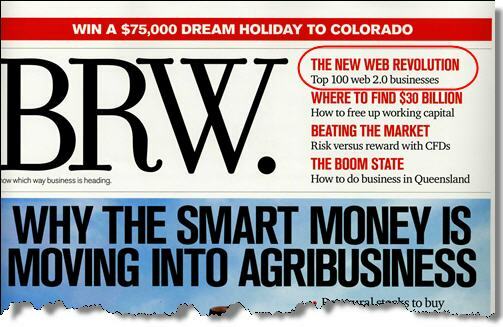 Absoft Group partner company RAYV ranked 72 in BRW Magazine’s Top-100 Australian Web 2.0 applications. Today, BRW Magazine published the Top 100 Australian Web 2.0 Applications list and I’m really pleased to announce that RAYV was featured on the list. Especially since we’ve only really been in operation now for about 5 months. The list was compiled by the Future Exploration Network and vetted by a strict set of criteria. We rolled in at a respectable number 72 and are working hard on hitting the top 50 for next year. We’re already finalising the development of the next features to hit RAYV and these include some of your more traditional web2.0 features as well as some new innovative ideas. More details on these to be released soon. You can check out the full Top 100 list here. It’s nice to see a broad variety of sites making the list and more importantly a good amount of innovation coming out of Australia. Well done to everyone else who made the list!